Thank you for visiting MnJ's web site. We believe our restoration to be the best service available. 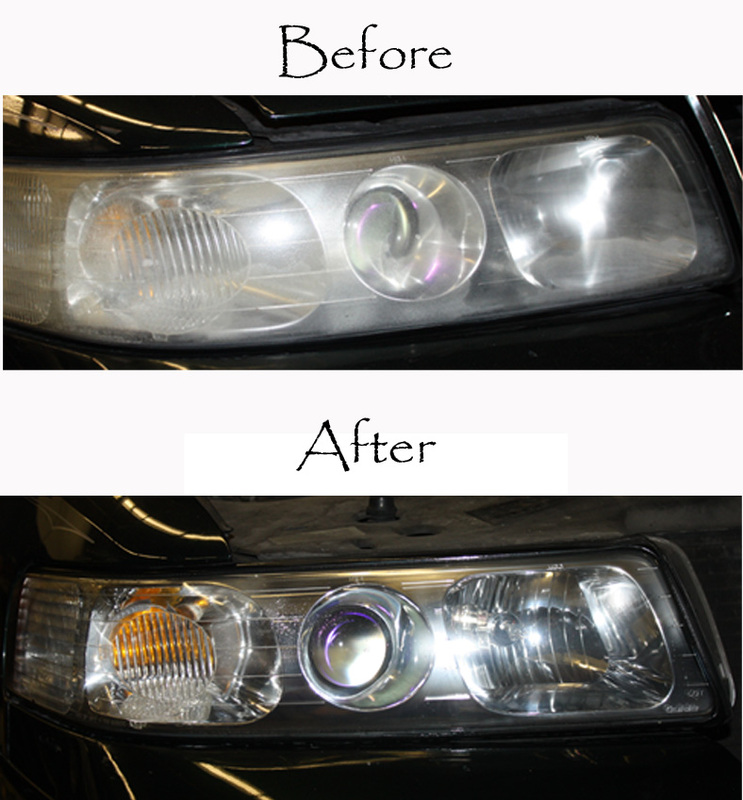 DO NOT have a headlight restoration done, that does not apply a quality hard coat! Kits and buff jobs DON'T WORK! Broken headlights, shaking lights when driving, lights pointing to the ground? We can fix the problem without having to replace the headlight unit. MnJ's does not use any type of kit that can be purchased on line or in any store. We use a professional hard coat system which requires special UVA actinic lighting. The headlight hard coat restoration system applied by MnJ's has been tested and approved by Ford Motor Company. The manufacturer of our headlight restoration system is the only manufacturer of headlight restoration products to have received this prestigious approval from Ford. The job is NOT done correctly without a hard coat. It will not last. MnJ's has headlights on the road today that were done 3 and a half years ago, and still look just as good now as they did then! When your car is manufactured your headlights have a hard coat applied in order to keep the plastic from deteriorating and oxidizing. 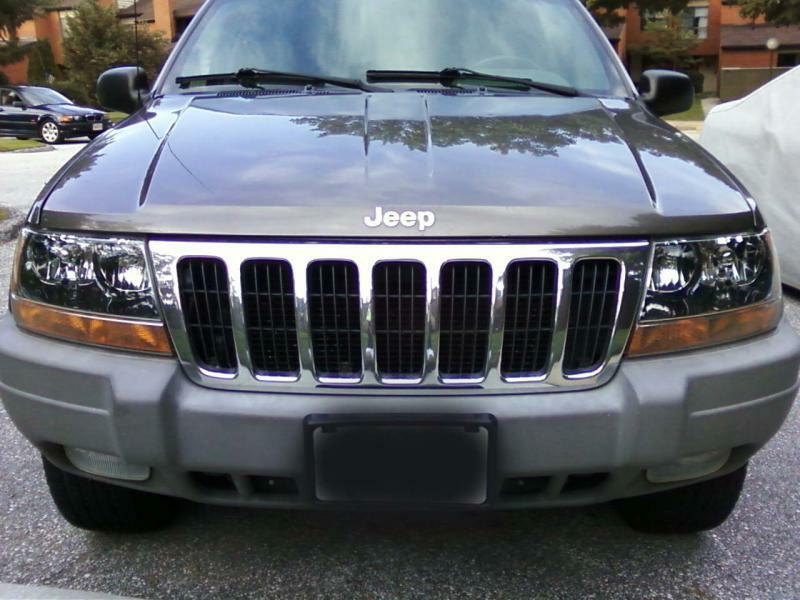 Most headlight restoration shops remove the hard coat and apply a wax, conditioner, or rub on sealer. Without the hard coat, you lose all protection on your headlights. M n Js specializes in restoring your headlights to their original factory condition, including renewing your protective hard coat. Call us!! 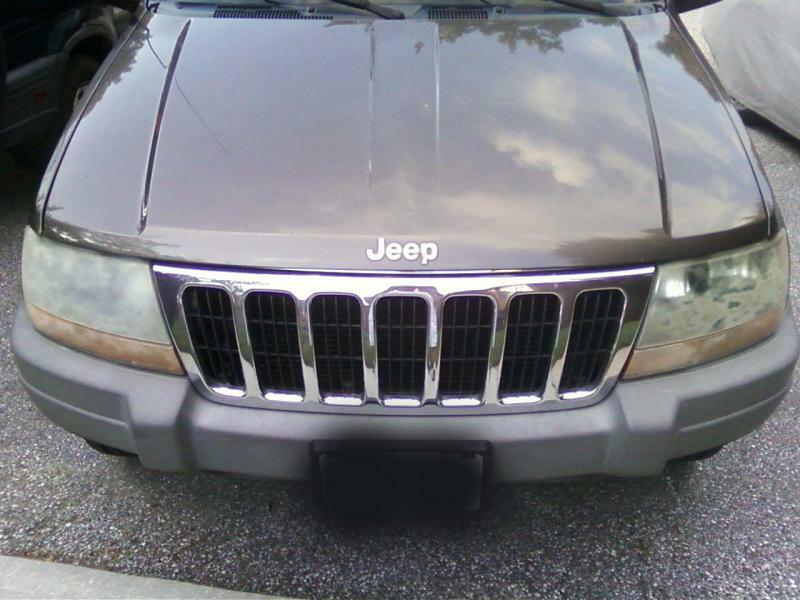 We will restore your plastic headlights to look brand new! Stop driving around with a vehicle that not only looks terrible, but also endangers the lives of you and your families! M nJ's Headlight Restorations can help !! 2003-2007 Toyota Highlander? Click here for information regarding melting lenses! Have you looked at your headlights recently? Are they yellow? Foggy? Cloudy? Stained? Service centers buff the lenses, destroying the original protective coating and replace it with wax or polish. It might look good for a while, but it does not last! In 6-9 months your lenses look just as bad, if not worse than they already did. If you choose to actually replace your lenses, it could cost anywhere from $250-$1000! However, restoring your lenses to their original condition using the acutal hard coating, combined with our restoration service, you will have the Clarity, the Protection & Preformance of a factor headlight; without the costs of replacing them.